Will be the Boston in a couple of weeks! Get back to sub 1:30 half marathon pace after some setbacks this winter. I run because I can’t stop competing. I need to run for fitness anyway so I just make a sport out of it. I run because when I take a couple day’s off I feel like crap. Back in the 2009 Dances with dirt Ultra Marathon I actually fell asleep with 3 miles to go and snapped back awake just before hitting the ground. My running partner and I had a pretty good laugh about that. This is my first time pacing. I’m going to pace because I hope to help someone achieve the PR they are seeking. 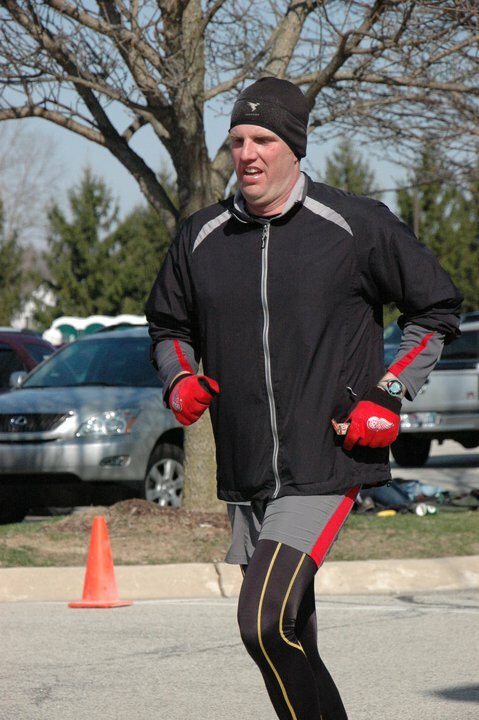 It is going to be at the Illinois Marathon pacing with you. They should if they want to have a good time and good company during there long run. Get good rest the night before and get ready for an enjoyable day. I’m pretty excited to take on the challenge of pacing the 1:55 group. I know what it’s like to achieve a PR and I hope that a lot of runners will be doing that in my group.